Laser hair removal works best on dark and coarse hair. The darker and thicker, the better. The best candidates have a large contrast between skin and hair color, meaning the lighter the skin, and the darker the hair produces the best results. When the client has a tan or darker skin tone, things can get a little more challenging. Unfortunately, the darkest skin tones do not allow for successful laser hair removal. With that being said, we can still have success with some dark skin tones, as long as the hair is dark and coarse. A consultation would be best if you have dark skin so we can determine if you are a good candidate. The most successful areas to treat are the bikini area, legs, and underarms- in that order. If you are considering doing laser hair removal on any of these areas, and if your hair is dark and coarse, just go ahead and do it. You will be thrilled! Facial hair is one of the most popular areas to laser. If you are tweezing or shaving coarse and dark facial hairs, then laser hair removal is an excellent option for you! If you have fine and fuzzy blonde facial hair, you are probably not a candidate for laser hair removal. It simply does not work on blonde, white, grey, silver, or true red hair colors. If you have a combination of coarse hair and fine hair, you are probably a good candidate and we can determine that at your consultation. Back hair on men can also be a little challenging, and the same goes as above. If the hair is very dark and coarse, then it is worth doing. Some men have finer, ‘fluffy’ back hair, and even if it is dark, it may be best to just wax it. 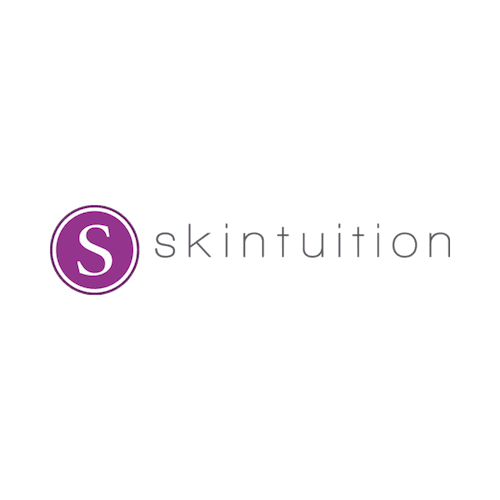 At Skintuition, we use the LightSheer Duet laser for all of our Laser Hair Removal Procedures. The LightSheer Duet laser beam works by targeting the pigment in the hair follicle, therefore can only be used on hair that has color. The laser pulses for a fraction of a second and vaporizes the pigment, thus destroying or significantly impeding the hair's ability to re-grow. We recommend starting with a series of 6 treatments. Your treatments would be spaced 4-10 weeks apart, depending on the area. During the laser hair removal process, you cannot tweeze or wax. You can, however, shave or trim between the treatments. If it is hard to imagine yourself not tweezing or shaving every day, don’t worry! Once you start the process, you will immediately begin to see results and you will find that your hair will not be growing in as quickly as it once did. The laser treatments will take any from 5 minutes to 1 hour, depending on the size of the area to be treated. If you are currently shaving the area to be treated, we ask that you shave 1-3 days before your treatment. It is best to have just a little bit of stubble in the area for your first appointment. This recommendation can vary, depending on how dense the hair is. So at your consultation, we will tell you what is best to do for your first treatment, and that recommendation may change as the hair starts to thin out. Immediately after your treatment, the skin will be pink and irritated. You will likely have little burned hairs stuck to the area that will look like pieces of pepper. You can wash those off right away. You may also have small hives in the area, and those will usually go away within 30 minutes. It will feel similar to sunburn for a few hours, or until the end of the day. As your skin heals up, it will resemble a razor rash for a few days to a week. The more dense and dark the hair, the more irritation there will be. You can apply hydrocortisone or aloe vera to the area to lessen the irritation. You can also apply makeup to your face after the appointment, and that will usually cover it up. If you are having laser on your face, and if it is your first treatment, it may be a good idea to do it at the end of your work day. The hairs do not disappear right away after your laser treatment. You will notice that it appears to stunt the growth for a few days, so it will look like it is not growing, or growing very slowly. After 7-10 days, the hairs will begin the shedding process. This is the exciting part! They will slowly work themselves out of the hair follicle for 3-4 weeks during the shedding process. This will be very noticeable to you, and sometimes you can just brush the hair right off! After the hairs shed, the treatment area will be very sparse for a little while. Then, after a few weeks, the next cycle of hair will start to grow in, and it will be time for your next laser treatment. With each appointment, less and less hair will grow back. Laser hair removal will only work on hairs in the active stage. That is why we space the appointments so far apart, so that we are able to treat the hairs as they become active. As wonderful as laser hair removal is, it is not realistic to expect 100% hair removal. We have seen it happen a few times, but not usually. A realistic expectation on a person who is a good candidate is 75%-99% reduction after the initial 6 treatments. That is still pretty awesome, don’t you think? The small amount of hair that will remain in the area will be much lighter, finer, and sparse. It will grow slowly and not cause irritating ingrown hairs and bumps. It will be very manageable. After your 6 treatments, you may want to do a few extra at our discounted rate to see if you can achieve 99% removal. We can help you make that decision by assessing the area to see if a few extra sessions may be worth doing. To say that laser hair removal is permanent is not always accurate. In theory, the hairs that we kill in the active stage are permanently removed. But, that does not mean that you will never have regrowth in the area. Some people do not have any regrowth after their treatments. We love when that happens! But in some cases, a small amount of hair can regrow in the area. It may take a few months or a few years, but 10%-15% of the hair that we treat can slowly grow back in. If that happens, you simply have to just do a touch up session. We always say that if you have to do a touch-up session every once in a while, it still beats your other options of shaving every day, tweezing every week, and waxing every month. If there is regrowth in the area, it is usually very fine and light, so the skin still feels very smooth, and not stubbly or irritated. Facial hair in women can require maintenance sessions. The reason is because hormonal changes in a woman's body through her life will cause changes in her hair type and how it's produced. This is something that is out of our control. The initial recommended 6 laser hair removal sessions will get rid of a lot of the hair, and you will see significant results. But, in some cases, maintenance every few months is necessary. This is not the case with all women, but it is something that can happen. We offer our discounted rate for maintenance sessions. Come in for a consultation so we can talk about your options. We are sure that you will agree that laser hair removal is still the best option for you.